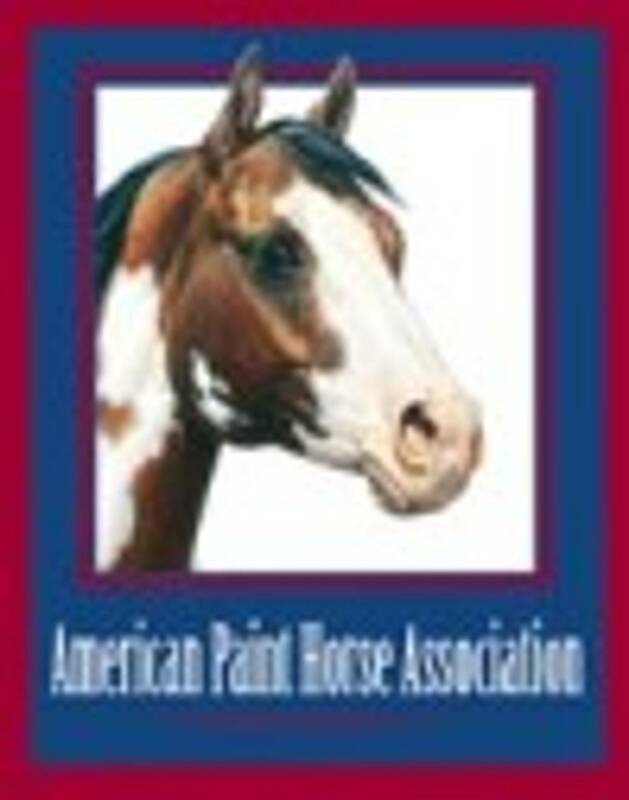 WE HAVE SOLD MANY HORSES OVER THE YEARS. 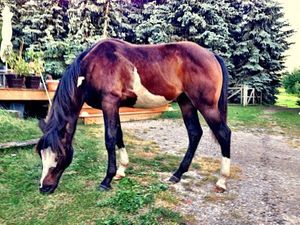 *OUR OWN WHICH HAVE BEEN PREDOMINANTLY PAINTS,ARABIANS,PONIES A FEW QUARTER HORSES AS WELL AS GRADES AND A VAST ASSORTMENT OF CROSSES. 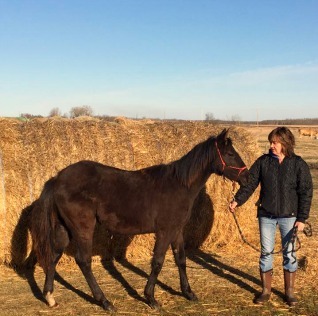 *WE HAVE ALSO SOLD OTHER PEOPLE'S HORSES FOR THEM AS WELL. *THANK-YOU TO EVERYONE WHO HAS EVER BOUGHT A HORSE OFF OF US WHETHER IT BE A FOAL,MARE,GELDING AND EVEN THE ODD STALLION. **Please note 5% G.S.T is added to the sales price. We currently have nothing for sale,check back from time to time as that could change. 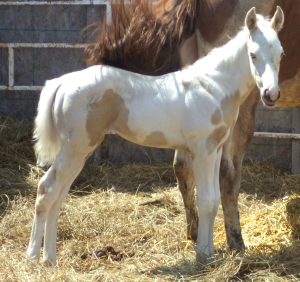 HF Tru Royal Tequila 2018 Solid Grullo Colt.This colt is by Spike and first time mom Karma.His blaze is the only white on him-with his color it hardly matters.He has fantastic conformation,breeding and is really well built-and he is grullo need i say more?? This guy is performance/cow bred and will excel at most disciplines-I think he'll be really good at gymkhana events. 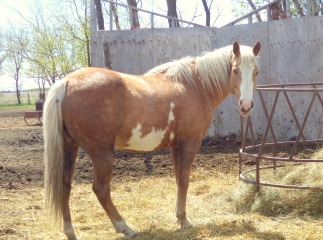 He is priced at $1300 ** SOLD and will be going to Dunmore,Alberta. 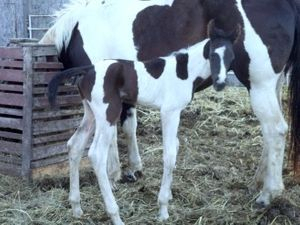 HF Tru Mighty Tuff 2017 Black Tobiano Colt by Tru High Style x TT Mighty Miss Riskey.This guy has it all good looks,great breeding and he will have size!! His pedigree has great like Ris Key Business,Mighty Awesome,Barlink Macho Man,Truly A Chief and many more.He is performance bred and could go in any direction discipline wise and will excel at doing it.He is currently offered for sale at a price that could be subject to change once he matures.Scout is Priced at $1200 **SOLD and will be going to Thunder Bay,Ontario. 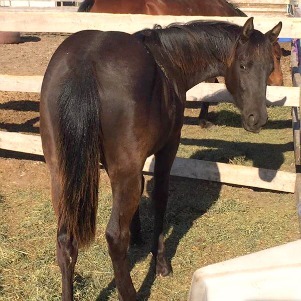 DC Peptos Cutie is a 2015 Dark Grullo Quarter Horse filly (does have a dorsal stripe) by Muy Bueno Pepto x DC Peppy Jacutie.She cutting bred on her sire's side and is cutting/reining bred on her dam's side.She has Peptoboonsmal and Dolls Union Jac on her papers.She is very quiet and easy to deal with and would be an awesome horse for someone with the time to take her to her full potential.Peppy is priced at $1600 **SOLD going to Central Butte,Saskatchewan. 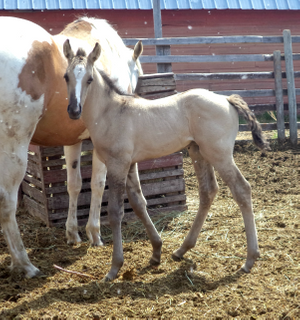 HF Tru Stylen Honey 2010 Palomino Overo mare.After much consideration we offered Jewel very briefly for sale and now have someone who wants her very badly.If all goes well she will be joining her full sister HF Tru Eternal Rain in Thunder Bay,Ontario.Although this was a very tough decision,it's a good one for Jewel who will be saddle trained and possibly used in gymkhana events like her sister who excels at barrels and poles.Jewel is for sale & priced at $1300. ** SOLD and going to Thunder Bay,Ontario. HF Tru Mighty Grand 2013 Bay Overo mare.This mare was sold twice,the first time I gave the buyer his money back as his circumstances had changed.I didn't have her advertised long when she was re-sold.This girl has been started under saddle as well as harness and is doing well with both.Her owner takes her to a lot of clinics and exposes her to lot's of different things.Santana is priced at $1200 ** SOLD and going to Priddis,Alberta.